We got some official news on Vivo NEX smartphone earlier and published about them. The latest news is, the brand will launch the phone on July 19, 2018. This is one of the latest and high-end specifications mobile phone to arrive in the market. The NEX phone's pop-up camera detail already known by many and it's official photos also available across. You would see few NEX phone's YouTube as well that explains about the device performances. The latest gadgets from Vivo will have some new features to cherish. The phone might have the same Qualcomm 845 Processor that was just released by OnePlus6, Asus ZenFone 5z and Oppo's FindX smartphones. So, you can expect the speed in these device as well beside new pop-up features. The Nex phone will come with the latest Android Oreo Operating system beside 8GB of RAM. Super Display with AMOLED is expected in 6.59 inches screen device. Vivo NEX phone most probably will have In-Display Finger print scanner too. The price of the NEX smartphone and other detail will be published anytime soon. 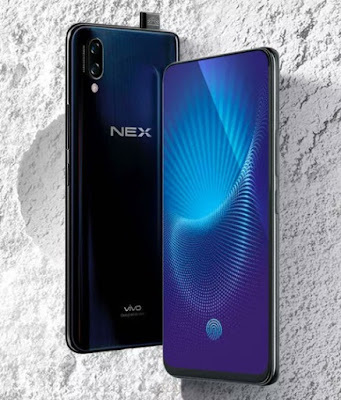 We would also cover more detail about the Vivo Nex smartphones and let you know in a different post on this blog. Stay tuned. Tips: You can wait for few days in case if you are planning to buy a most features packed smartphone from Vivo brand.